EasyWMA allows you to convert asf, flv, wma, wmv audio real media, flac and ogg vorbis files to aiff, mp3, m4a or wav so that you can play your favorite songs in iTunes or any other player on your Mac. 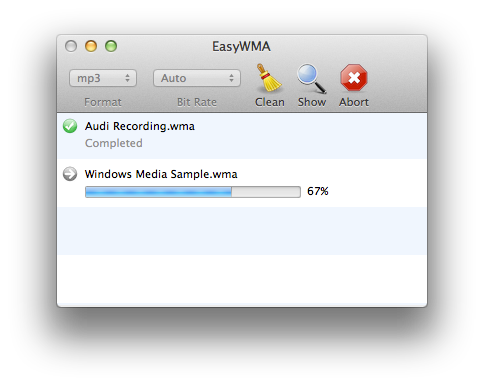 EasyWMA can be helpful if you need to play wma files on your iPod. If you need more information please contact the developers of EasyWMA for Mac, or check out their product website.